HAIL ERIS! ALL HAIL DISCORDIA! Did you know that God is crazy? And a girl? If not, you should probably go read the Principia Discordia, or, How I Found The Goddess and What I Did to Her When I Found Her. Otherwise, this book won't make much sense to you. 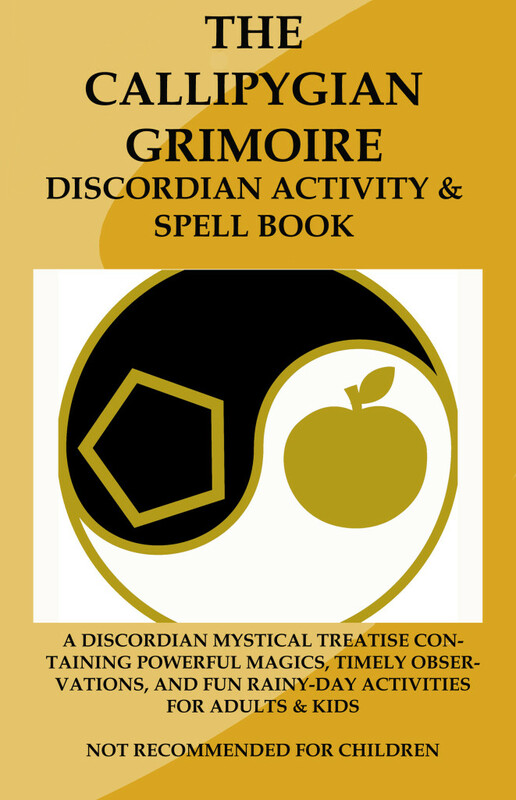 The Callipygian Grimoire contains ancient Discordian spells like "The War Song of Thule" and "The Assmonkey Curse," along with parables, mystical wisdom, and answers to questions such as "are middle managers real?" and "where do all these 23s come from, man?" Plus fun activities like mazes, word searches, and coloring pages to pass the time if you get bored on your journey to enlightenment!